Bacta welcomed the new sports minister Mims Davies in her new role and discussed what sets the coin-op sector apart from the wider gambling industry during a parliamentary reception on 21 November. “Mims has been in the job 11 days, but she has immediately grasped the brief about our industry, which is all about fun,” chief executive John White explained. Moving to address the DCMS’ recent decision to look at B3 player protections, in his speech at the Bacta Convention on 22 November, White emphasised the work the trade association has already done on social responsibility. “We have a proud tradition of caring for our customers. Augmenting that can be no bad thing. Using our best resource to do so, our people, has to be the best way to achieve concrete results. Nevertheless, he acknowledged that the amusements industry’s ‘benign reputation’ has been damaged in the fallout from the public backlash against FOBTs. “The UK population understandably doesn’t make the distinction between the machines we have to offer and the high stakes hard gaming of an FOBT on the high street,” he stated. 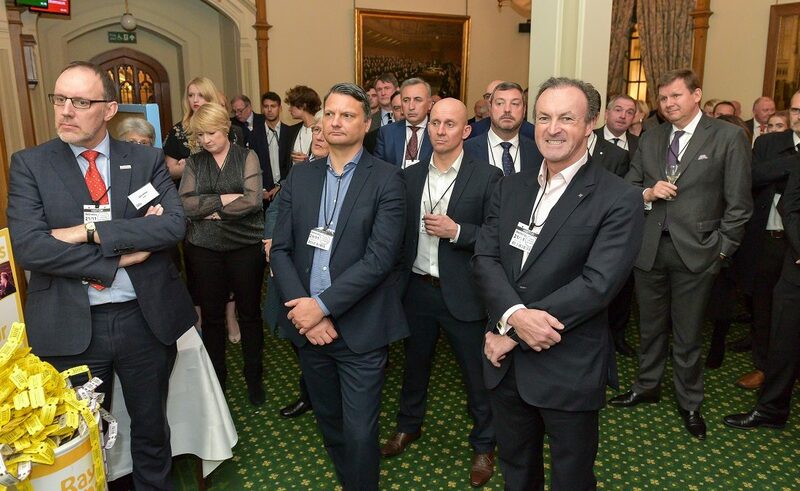 Reflecting this, there was a notable emphasis during the reception on how the amusements industry has responded to “the challenges that have been laid down on social responsibility”. “Frankly, the guys in this room have been doing it for years, their fathers and mothers have been doing it for years, it’s in their DNA,” White clarified.